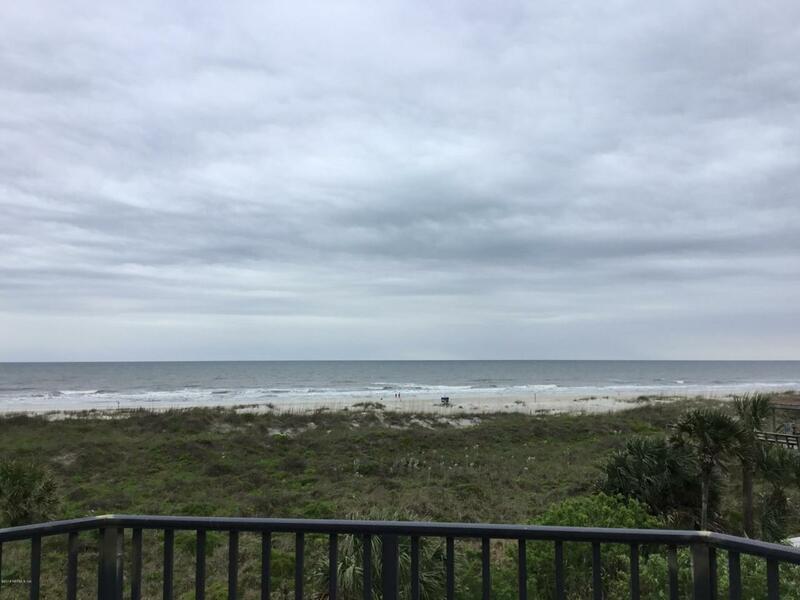 Beautiful 2 story ocean front condo with unobstructed ocean views on St. Augustine Beach. Recently completely remodeled with new flooring, fixtures, cabinets, quartz coutertops, appliances, paint, plumbing, furniture/decor, bedding, etc... ALL NEW! Open floor plan, family/dining room with fantastic pool & ocean views with 3 balconies. All furniture/decor being sold with condo (fully furnished). Bring your kids & family to enjoy all that St. Augustine has to offer & wake up to the beautiful sunrise over the ocean each morning! Don't miss this view!